Register for $300 per Student | Live Event 2 Days FULL of Info! All Required Information Is Included | On-Going Support! 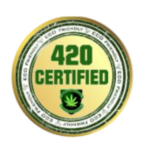 A step-by-step guide, and class information provided is really all you need to start your basic patient garden, a small, local farm co-op or simple marijuana delivery service – you can use the forms we provide to you in class to file for your basic private members only marijuana collective, yourself! Objective #1: Step-by-step review of state requirements to start a business in California. Objective #3: Create step-by-step plan to start your cannabis business. 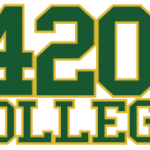 420 College Events Give You a Chance to Reach Out and Meet Others like you who are just getting into the industry. You WILL After a 420 College 2 Day Event. During lunch AND AFTER …Get To Know Others!